Hoan Kiem District – a district was named after Hoan Kiem Lake, is the commercial center of Hanoi capital with many large public corporations and bank headquarters of Vietnam located here. The district was officially named Hoan Kiem in 1981 and has not been changing until now, including 18 streets, some namely as Eastern Gate, Southern Gate, Dong Xuan (where locating a famous market with the same name: Dong Xuan market), and some such ancient streets as Hang Bac, Hang Bai, Hang Bong, Hang Dao, Hang Gai, Hang Ma, Hang Trong (each street is major with one kind of special product for trading here). People always call Hoan Kiem district is the commercial core of Hanoi is Hoan Kiem District; it is home to the city’s banks, airlines and most of the hotels, restaurants, shopping streets and markets. The district is the most popular place for foreign tourists and bussiness man to spend time. Most of the accommodation, including hotels, houses, apartments and serviced apartments for rent in Hoan Kiem district are in the five-star range and high ranked. For those booking rooms here, or for those finding a property for rent in Hanoi, Hoan Kiem district is one of the best place to live while you are in Hanoi, Hoan Kiem Lake is only a short walk away. Located right in the center of Hanoi, it is quite difficult to find a villa for rent in Hoan Kiem with large garden, swimming pool and car park area like in Tay Ho district. Even apartments for rent in Hoan Kiem district are not as large as in other districts, either but its price is always the highest in comparison with the others. WHERE TO STAY OR LIVE? Hoan Kiem district is not only a commercial center of Hanoi but it is also the touristic center of the capital. Not only there are many companies, organizations, offices or trade centers and supermarkets located here, there are also a number of the city’s key attractions like Old Quarter, The One Pillar Pagoda and Thang Long Water Puppet Theatre. Thus, most people expect to live and work here. Living and working in Hoan Kiem District, you can spend your leisure time at many restaurants, entertainment areas and city attractions. Serviced apartments for rent in Hoan Kiem district are generally more modern, more clean and more expensive than houses for rent in Hoan Kiem. Serviced apartments for rent in Hoan Kiem district are often fully furnished, serviced with daily maid and other facilities such as a pool, garden, gym, car park area, 2-3 times main service per week, and internet, TV cable TV and 24-hour security service. All serviced apartments for rent in Hoan Kiem district are available on both short and long term leases. Are you are looking for an apartment in Hoan Kiem? And do you want to know more about the market? Just contact the real estate offices for viewing apartments for rent available. 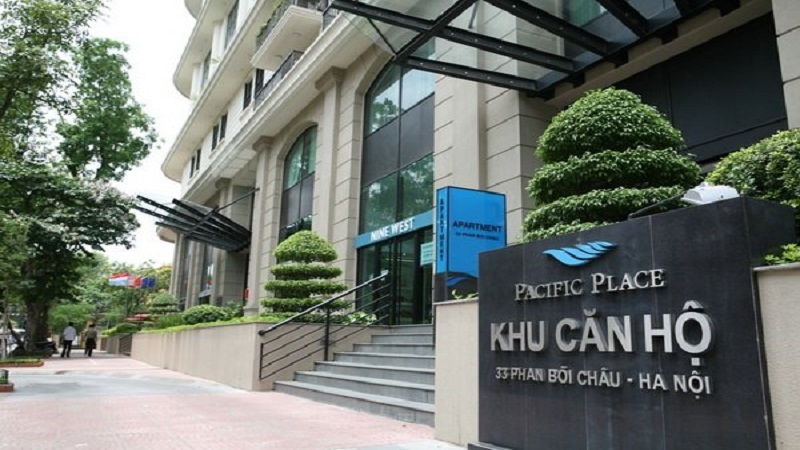 Some suggestions of good serviced apartments for rent in Hoan Kiem District include Sun Red River Hanoi, Somerset Grand Hanoi, Pacific Place Hanoi or Elegant Suites Hanoi etc. If you do not have demand to stay in an apartment or a house rental in Hanoi there are list of luxury hotels in Hoan Kiem district for your choice such as De Syloia – a stylish international hotel with a mock-colonial façade or Hilton Hanoi Opera or Melia Hanoi - a member of the Great Hotels of the World and many others. 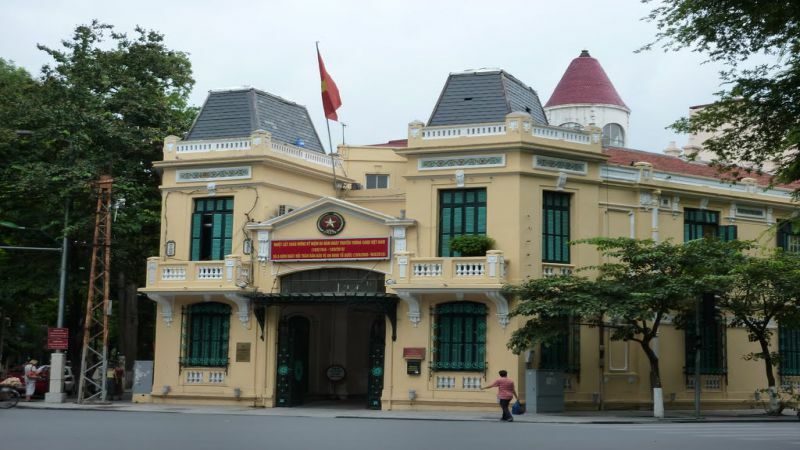 There are many of Hanoi's tourist attractions located here – in Hoan Kiem district, including: The Old Quarter, Thang Long Water Puppet Theatre, Hanoi Opera House or National Museum of Vietnamese History. So when living in a house for rent in Hoan Kiem district, surely you can have a variety of great destinations for your visit. Hanoi capital is the only city in Vietnam to retain its ancient merchants' quarter. The Old Quarter of Hanoi is located in the middle of the city with the narrow streets in old style where there are many antique brick houses – a very typical beauty of this area. 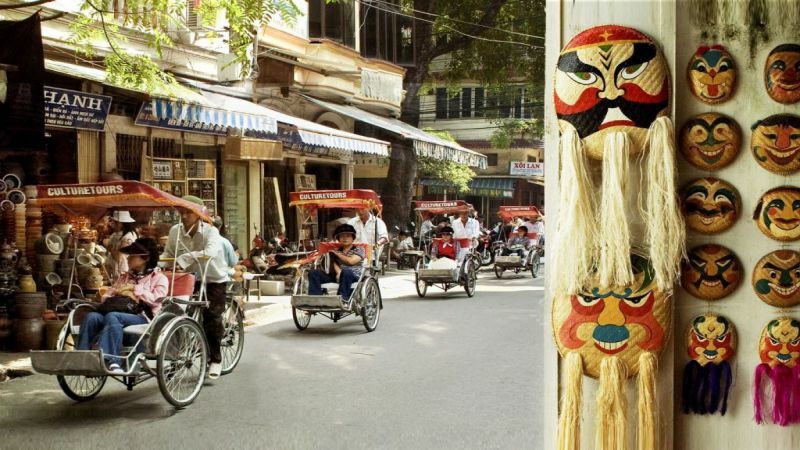 Hanoi’s Old Quarter with its ancient beauty seems to take visitors turning back the past time but still actively adapting to the bustling atmosphere of a developing city. Being a very crowded trading area, the Old Quarter is the place gathering many merchants and artisans coming up here to sell their products. This place consists of many small streets; each street is major with one kind of the goods specifically traded there. For example, Hang Bac street is for silver product; Hang Ma street is for paper product; Hang Go street is for wood product. Staying in an apartment in Hoan Kiem’s Old Quarter area, you will have chance to visit this unique area which is located nearby Hoan Kiem Lake to enjoy an interesting and different life here, where you can experience the modest and energetic daily life of Hanoi people in the past. Here in this Old Quarter, there are no high-rise buildings, with crowding vehicles; here in this Old Quarter, everything seems to be small because we may be familiar with high-rise buildings and commercial centers in other parts of the city. The French Quarter contains the grand boulevards and wide pavements, which specializes for its architecture. 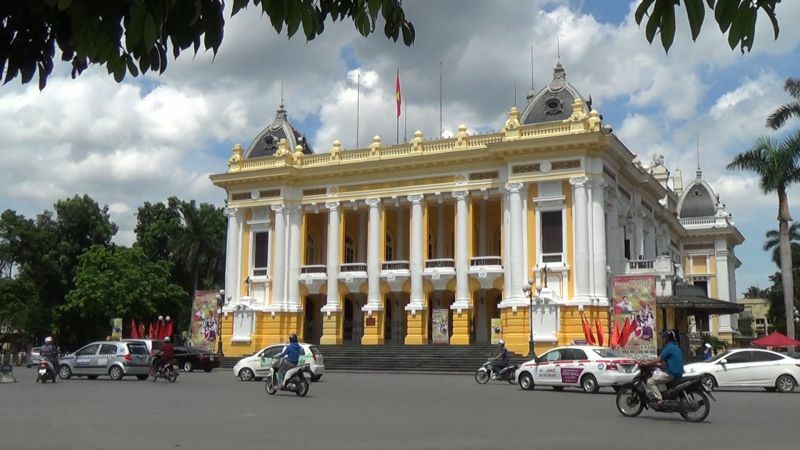 Long time ago, in the process of building their capital, the French destroyed many ancient Vietnamese monuments to build the buildings in Parisian style like the Opera House with France imported grey-slate tiles. The French Quarter was considered to be a diamond of French Hanoi. Trang Tien - the main artery of Hanoi’s French Quarter – nowadays is still a busy shopping street with many bookshops, art galleries, cafés and hotels. Making a quick circuit of Hoan Kiem lake with 30-minute walk is a good way to get bearings in Hanoi. Hoan Kiem Lake is likely the most famous one among all the lakes in Hanoi. It is located right in the heart of Hanoi, being indispensable in every journey to Vietnam’s capital of all visitors. Hoan Kiem Lake is also called in another name - the Sword Lake which becomes a symbolic image of Vietnam’s heart. Though the story of the name of this lake seems to be such familiar with the local people that everyone from a child can clearly knows it, once visiting Hoan Kiem Lake, people cannot happen to re-hear this legend: it was said that a turtle gave a sword to King Le Thai To to fight the enemy Ming. After the war against the Ming won, one day, King Le Thai To was boating on the lake, suddenly a large turtle appeared over the lake surface to reclaim the precious sword. The King returned the sword; the turtle kept the sword in his mouth and dived into the lake. Since then, the lake is called Hoan Kiem Lake. Located in a place connecting many famous streets of Hanoi's Old Quarter to the Western Street Area planned by the French, Hoan Kiem Lake is inspiration of so many poets, writers, photographers. Its attraction is created not only by the gentle and poetic beauty, but also by its historical significance. Enjoying a cup of coffee in the early morning and sightseeing a beautiful Hoan Kiem Lake surely will be a great and unforgettable moment of all people. Also as located in the heart of the capital, a serviced apartments for rent in Hoan Kiem lake’s area costs much but surely it is very convenient in all ways. As mentioned above, the Opera House is a beautiful architectural monument. It was inspired by Palais Garnier - the less famous of Paris' opera houses, however, it is a must-go when coming Hanoi, especially when you stay in a house for rent in Hoan Kiem district. French legacy of Hanoi capital is most seen in city's café culture. At the cafés along lively Hang Hanh street, young Vietnamese people always come here to enjoy unique atmosphere and taste of coffee drinking culture. Some of the best can be listed as Au Lac - a popular upmarket café which claims to brew Hanoi's best coffee; or Fanny’s Ice Cream - an ice cream shop owned by a French serving arty ice-cream in the most original flavors in Hanoi. 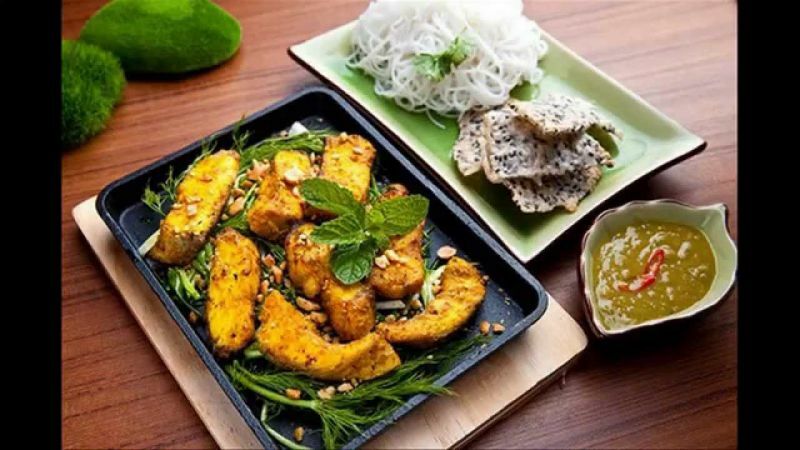 Regarding to restaurants, though cannot compare with the sophistication of Ho Chi Minh City, Hanoi boasts an increasing amount of top - quality restaurants out of which mostly found near Hoan Kiem Lake and the French Quarter. Hanoi also boasts a variety of delicious food such as Cha Ca, Bun Cha, Pho etc. 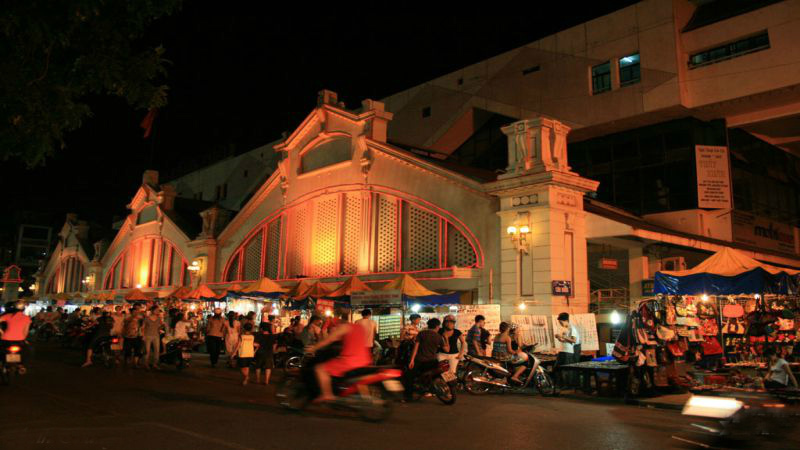 There are many famous commercial centers and markets located in Hoan Kiem district. Two out of them must mention to Trang Tien Plaza – representative of the modern commercial center and Dong Xuan market – a symbol of Vietnamese traditional market with thousands kinds of products to be traded here. The specialties to pick up here in Hoan Kiem district are embroideries; thread work, silk, sandalwood and stone carvings. Regarding to shops, there are many various ones, especially the Specialist Shopping Streets, for example, Hang Giay is devoted to paper, tin at Hang Thiec and cloth at Hang Vai etc. A special thing is that at most shops you will still be expected to bargain – same as at the market stalls. Living in a furnished apartment in Hoan Kiem – a very crowding area, you may wonder how to get around Hanoi Old Quarter? A comprehensive list of what you can use to discover the old city includes taxi, bus, walk on foot, cyclos or electric car. There are buses connecting Hanoi Old Quarter with the rest of the city. For example, the No.9 connects to Ho Chi Minh Mausoleum, the No. 14 connects to East side of the West Lake, the No. 17 connects to Noi Bai Airport and the No. 23 connects to Temple of Literature. If you prefer to experience the most local way of life, taking a bus is the best idea. In other way but taxi, walking is the best way to explore the old city at the Old Quarter. It just takes about 30 minutes to walk from one end to another. In addition, it is an enjoyable way to slowly swallow in the beauty of the city by cyclos or electric car. With all above information, if you are looking for a house for rent in Hoan Kiem or villas for rent in Hoan Kiem, this place is not many choices for this type. We would like to recommend you some villas for rent in Vinhomes Riverside in Long Bien within 15 minutes to Hanoi center by car via Chuong Duong bridge or Vinh Tuy bridge. Or houses for rent in Tay Ho (westlake) is another option, this is a place gathering many foreigners living. You must not worry that it may cost you much but you may get some inconvenience during your stay here. 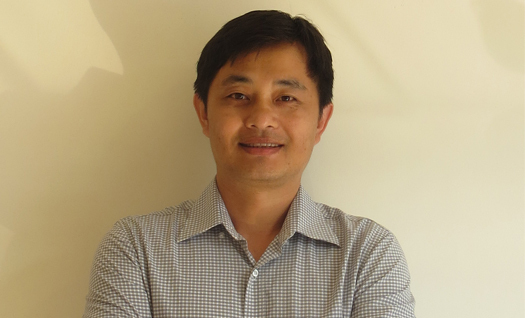 It makes for sure that Hoan Kiem district is also a great place to live. So, if you want to experience the life in the heart area of the capital, contact us for further information about a property for rent as per your demand.